Where do I attach the green ground cord on the Stepcraft D-Series machine? The green ground cord is used to provide a way for any possible static that would build up on the machine to discharge back to earth ground. 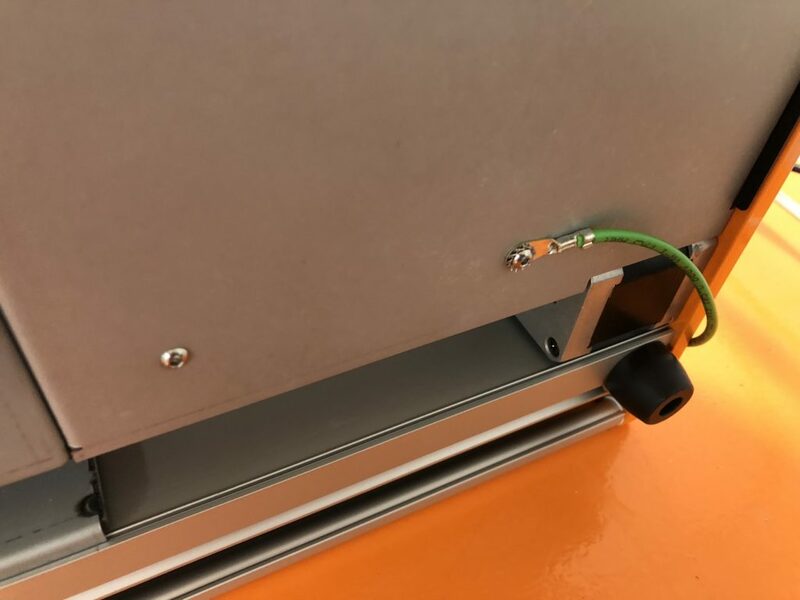 The ring terminal on the green ground cable that comes with your machine is attached to one of the screws from the control board mount on the bottom of the machine. Any of the screws will work just fine. What tools are required to build a STEPCRAFT CNC machine? I’ve seen posts where people have a lot of trouble setting up a STEPCRAFT CNC and getting it to run properly, how accurate is this? With well over 6500 STEPCRAFT systems sold around the world, there stands to reason that a small percentage of customer might have some trouble. The instructions are very well thought out for any level of builder, but still, you MUST follow them step by step. 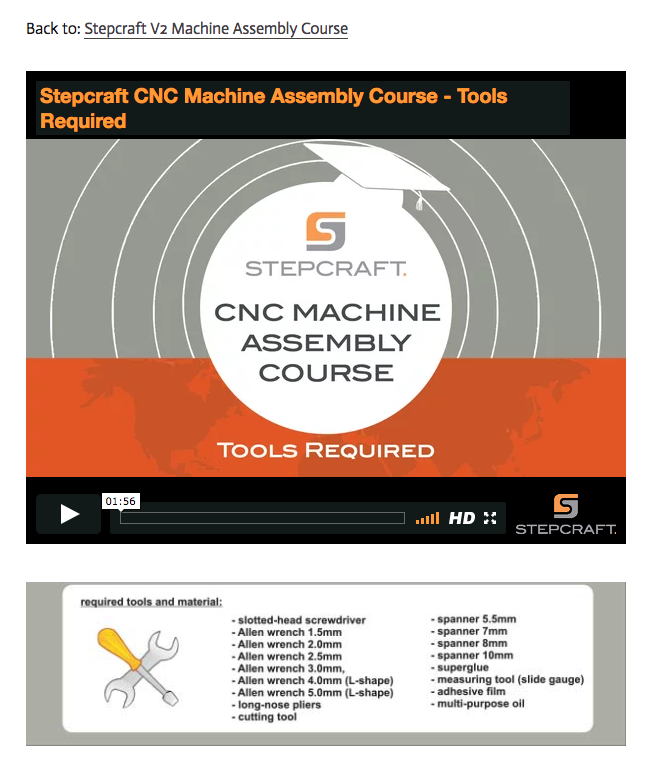 Additionally we produced a Assembly Training Course that is a video tutorial outlining every step in the manual. Between the manual and videos, the average customer should not have any trouble. We find that many customers who you are reading about either do not have the skill set to understand basic assembly terminology or are skipping steps in the assembly process. Many times a quick call to our support team has the customer up and running quickly. There are no special tools or skills required to assemble a STEPCRAFT kit, but if you are the type of person who “skims” through manuals and are not detail oriented when assembling something, then you might have the same issues that some people post about. While it is not a hard build, there are a few items that you must pay attention to due to the precise nature of the machine. 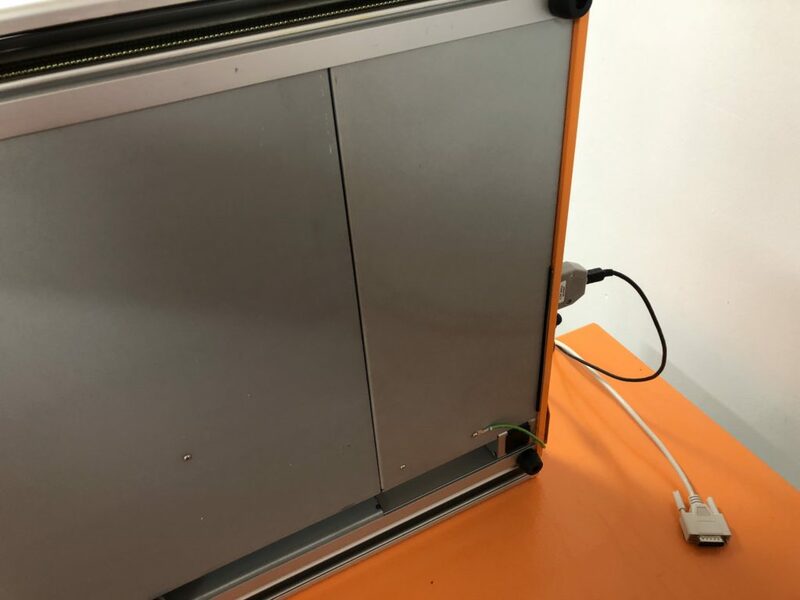 If you take your time and follow the steps in the videos and manual, you will not have any problems building your STEPCRAFT CNC. How long does it take to assemble a machine myself? On average it takes between 6-8 hours depending on your skill level. The kits are not hard to assemble and there are no special tools required. We also have an online video training course that walks you though every step of the assembly process. Do the STEPCRAFT machines and accessories come with printed manuals? Yes, ALL Machines and most attachments come with a printed manual. Some newer products or smaller attachments might only come with a PDF manual which you can download by clicking the “DOWNLOADS” tab from the product page on the website www.stepcraft.us. Can I buy my machine assembled? Yes, you can buy the machine fully assembled, tested and crated. There is an additional charge depending on the machine which ranges from $399 to $499. 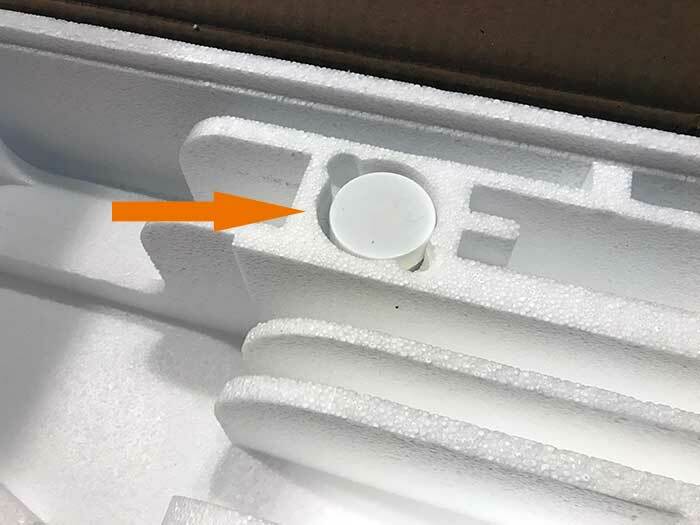 Since the machine is crated, the 420, 600 and 840 must be shipped via a freight company which will incur an additional cost over shipping a kit via UPS. The 300 can ship in a crate via UPS which, on average, costs about 25% more because of the additional weight.